ISSUE #1 of the all-new FERAL BOY & GILGAMESH AT THE END OF THE WORLD six-part series will be available the first week of April, 2018. 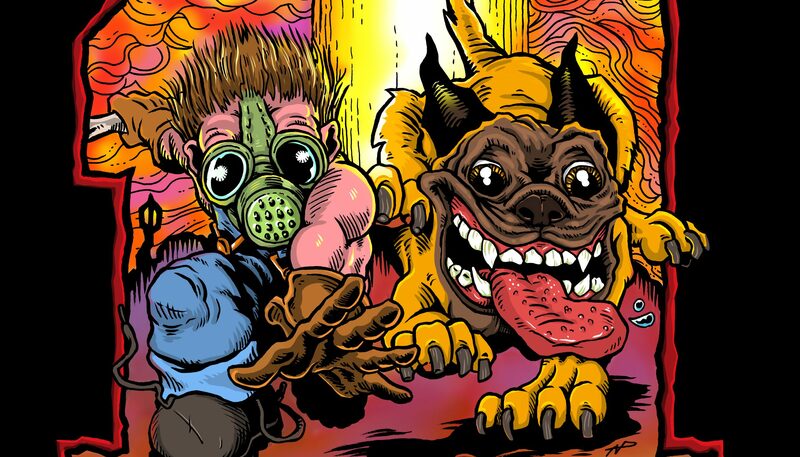 Join creator Nicholas Pendleton and writer Tom Bevis for these all-new post-apocalyptic adventures of a psychic dog and his mutant dwarf. Join the mind link today!